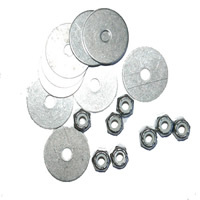 8-32 Stainless Locking Nuts & Washers. Stay tight even with heavy vibration. Washers are fender style offering a large displacement area.